Greetings from sunny Steamboat Springs, Colorado. The ski year has been pretty good so far. Not a lot of powder days yet plenty of snow to make it fun. The holidays were great and tourism seems to be holding steady. As you see, December 2009 Sales Volume of $83,194,900 is the second highest volume for the year. However, much of those numbers are due to prior contracts on developments that are now closing. Edgemont and One Steamboat Place (OSP) lead much of the volume in their closing numbers. We are seeing a bit of home buying momentum. Several factors contribute to this trend yet I feel much of it has to do with an increase in Consumer Confidence (see attached document Consumer Confidence 2010). Consumer confidence overall is pretty dismal yet it has increased over the past few months; a positive trend indeed. We also continue to see historically low interests rates. Such rates, by all signs, will be going up in the near future. These two factors coupled with a lowering of home prices have fueled a bit of momentum in national and local real estate markets. I expect this trend to continue through 2010, although I don’t see home prices increasing here in Steamboat Springs anytime soon. Due to high inventories and an increase in foreclosures, Steamboat prices remain volatile. To give you an idea of the amount of foreclosures in Routt County, back in November 2009 there were 210 properties in foreclosure, today there are 285. Keep in mind this is all of Routt County and not just Steamboat Springs, but it is a substantial amount. On a national level, home sales are down but prices are up slightly. You can watch a short video on these market stats here. Click here to watch video. Like I said in the last newsletter, Steamboat and all other small towns tend to lag behind in the recovery process. I feel in 2010 we will see a slow increase of transactions and steadying of prices. Below are the highlight for December 2009. The Sales Volume of $83,194,900 was 207% of the December 2008 amount of $40,144,500! The total units sold for this month was 229% of the previous December 2008. 156 units sold for the month surpassed the 131 units sold last month. 80 of the units sold were from Fractional/Timeshares. 250 loans were reported closed for the month of December. This includes refinances, seconds and any loan associated with a sales transaction. 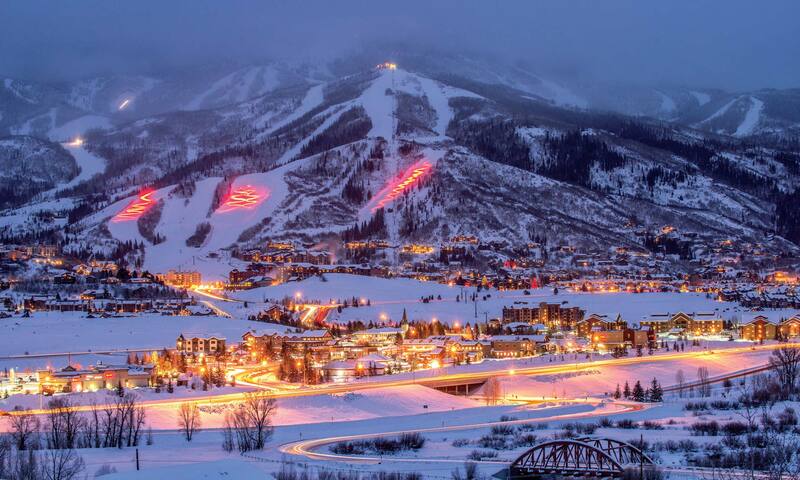 New projects this month include: Edgemont Luxury Ski In/Ski out Condominiums in the Steamboat Mountain Area. Totals for December in Edgemont = $12,973,000 for 6 Sales with an average of $2,162,167 per Unit Sold. 12/14/2009 $4,100,000 Rendezvous Trails TH Unit A – 6,714 SF with 5 Brm 6 Bath, YOC 2009, PPSF $610.66 in the Steamboat Mountain Area. 12/24/2009 $3,793,000 Edgemont Condo Unit 2301 – in the Steamboat Mountain Area. 12/17/2009 $3,250,000 OSP Condo @ Apres Ski Way Unit R-616 – in the Steamboat Mountain Area. 12/15/2009 $3,200,000 Steamboat Village Commercial Center Replat Lot E, Lot 1 – 5,820 SF YOC 1995 on 1.47 AC – this is the Sinclair Station & Convenience Store, PPSF $549.83. This is shown as Commercial in the Steamboat Mountain Area. 12/17/2009 $3,150,000 OSP Condo @ Apres Ski Way Unit R-708 – in the Steamboat Mountain Area. 12/2/2009 $2,900,000 Sanctuary Subd Replat #1 Lot 21 – 6,606 SF with 5 Brm 5.5 Bath, YOC 2000 on .70 AC, PPSF 438.99 in the Steamboat Mountain Area. 12/17/2009 $2,700,000 OSP Condo @ Apres Ski Way Unit R-411 – in the Steamboat Mountain Area. 12/30/2009 $2,566,600 M&B: Sec 14,15,22 & 23-12-88 aka 74694 CR #120 – 2,290 SF with 4 Brm 1.75 Bath, YOC 1904 on 1,176.09 AC, PPSF $1,120.79 in the North Routt County Area. This sale has several parcels all of which are totaled to the description shown.